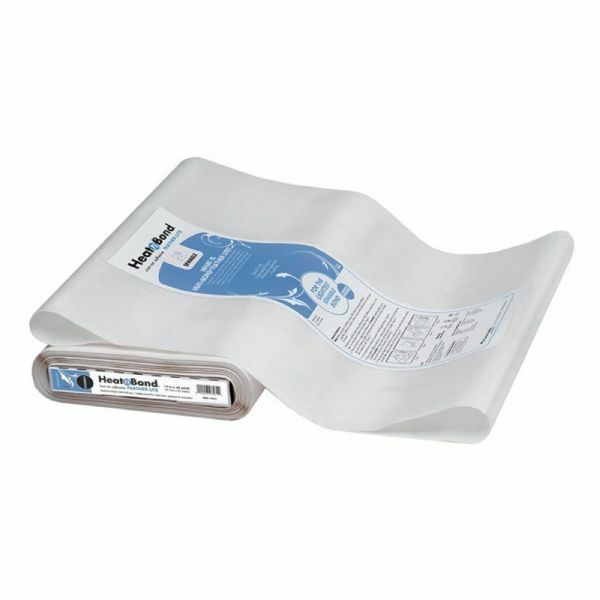 HeatnBond® Featherlight is a paper backed, double-sided adhesive for bonding fabric and has the strongest bonding power of any lightweight adhesive you can buy. This lightweight formula is great for multi-layer pieces, landscape quilts, and wearables since it gets even softer after laundering. The solid sheet adhesive gives edge to edge coverage for appliqué shapes on quilts, wall hangings and fashion items without adding any extra weight or stiffness. Transfer pattern by drawing directly onto the paper backing to design appliqué pieces.